A little delving into Hindi folklore brought out that a Maharani is the wife of a Maharajah or a woman holding the rank of Maharajah, with the name coming from its Hindi roots of (mahâ = great + rani). Maharani is, however, also the name of the Indian restaurant in the Royal Cliff Beach Hotel and we came as guests of the new GM, Prem Calais. 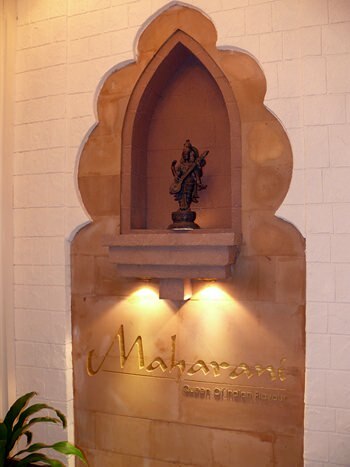 However, the Maharani restaurant in the Royal Cliff Beach Hotel does not have its origins in the UK. Visually, it has the crenated archways and trappings from the Indian subcontinent, and the staff uniforms are also Indian in style. The ambience is unmistakably Indian, complete with Indian background music, but no sitar unfortunately. The restaurant has several distinct areas, including an al fresco terrace and two separate air-conditioned sections. The cuisine is also genuine Indian, from many areas including Kashmir and the Punjab (and Sri Lankan), but Birmingham does not get a mention in the menu! 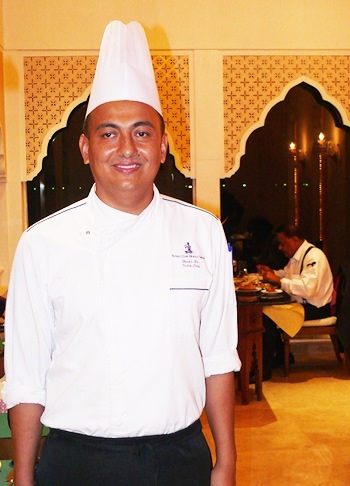 The head chef (K. Hosam) is also Nepali, to further ensure faithfulness to the true origins of the dishes. The wine list has surprises – inexpensive ones, with the house whites and reds available at B. 1300 a bottle, or B. 280 by the glass. There is also a sparkler for B. 1400. A cheap celebratory tipple! A Thali plate for Indian food novices. The seven page menu also has some surprises – the prices are very moderate compared to some Indian restaurants outside. The best value are the Thali plates, divided into non-veg and veg with these set menus B. 500. For those who are not au fait with Indian food, these plates are the ideal way to understand and learn the Indian cuisine. The non-veg has chicken and lamb along with Dal (yellow lentil curry) and Basmati rice. This also has Poppadums, Naan bread and a stir-fried potato dish (Jeera Aloo). The vegetarian set menu has Paneer tikka (cheese), Bhindi masala (stir-fried okra), and Aloo Gobi Masala a potato and cauliflower curry. The rest of the Thali plate has the Basmati rice, Poppadums, Naan bread and Dal curry. The restaurant is outfitted with an Indian theme. We found that the serving size was more than enough for one person and Madame and I shared one non-veg plate but then added in the Bhindi Masala and a Paneer tikka. 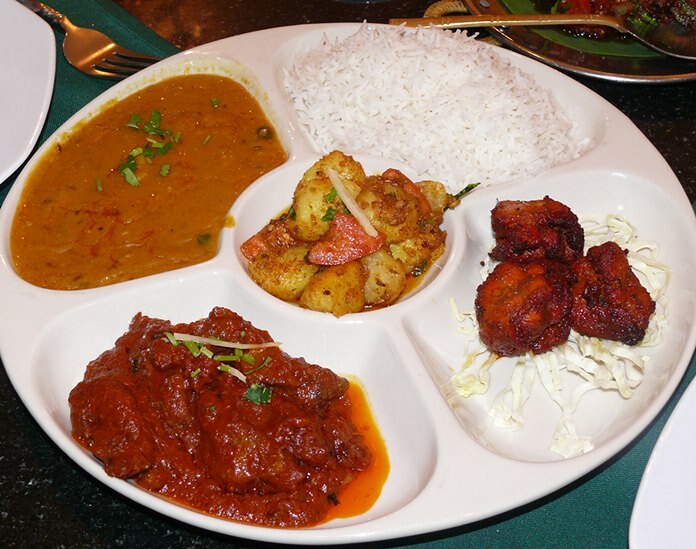 The a la carte Indian menu has several starters with prices generally less than B. 300 (non-veg) and around B. 160 for vegetarian starters. Tandoori specials are next with most B. 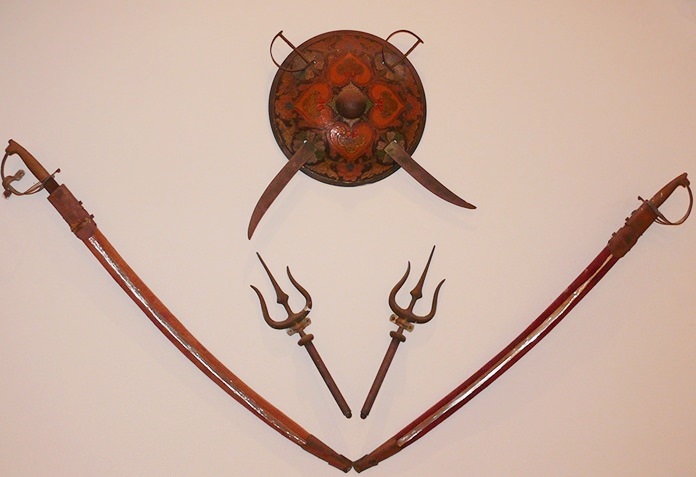 350, though if you wanted to feed a horde there is an assortment of tandoori dishes for B. 1,000. Chicken dishes are again mainly under B. 300. There are also chilli indicators to warn the tyros of spiciness ahead! Lamb dishes are B. 350 in the main, and includes a Vindaloo and Kashmiri Rogan Josh. Even seafood items are not over the top with most under B. 450. There are numerous vegetarian dishes with most around B. 200, similarly to the Dal items. And finally different breads and rice styles to complete your Indian feast. 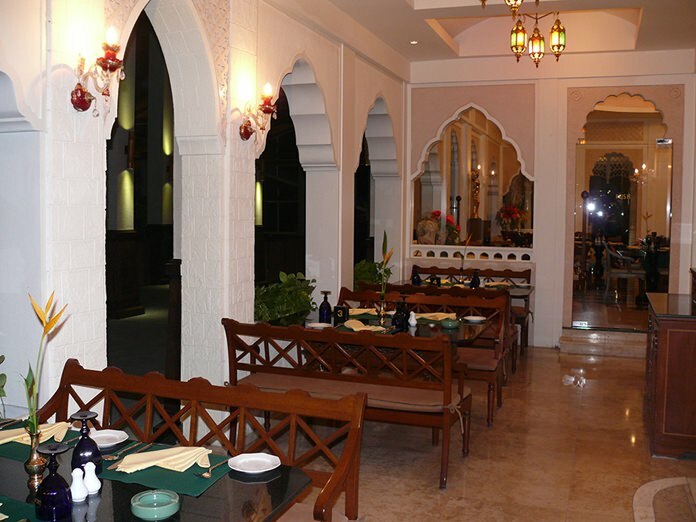 If you are entertaining guests, the Maharani restaurant should be on your list. You, and they, will not be disappointed. The food is excellent and the Royal Cliff service exemplary as usual. Highly recommended. Maharani Restaurant, Royal Cliff Beach Resort, Pratam­nak Road, South Pattaya, telephone 038 250 421. Closed Mondays. Hours 11 a.m. until 2.30 p.m. for breakfast/lunch and then 6 p.m. though to last orders 10.30 p.m. for dinner. Secure parking within the Royal Cliff Beach Resort grounds.